Merrill Edge is part of Bank of America since 2009. It provides online brokerage for investor. 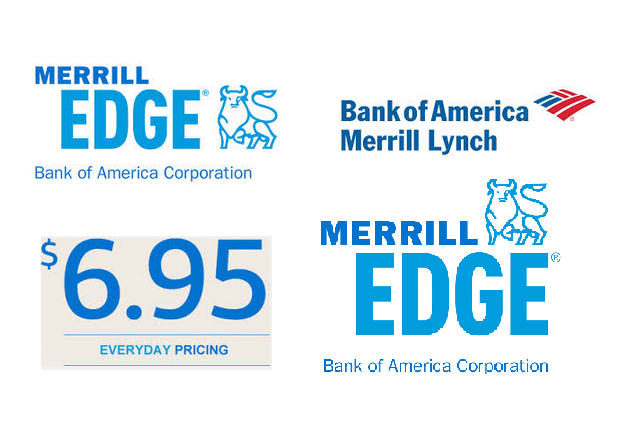 As part of Merrill Lynch service, Merrill Edge is a full service broker that offers stocks, ETFs, and option trading. Any investor and trader can open a Merrill Edge account. If you are Bank of America customer, you may even qualify for free monthly trades. 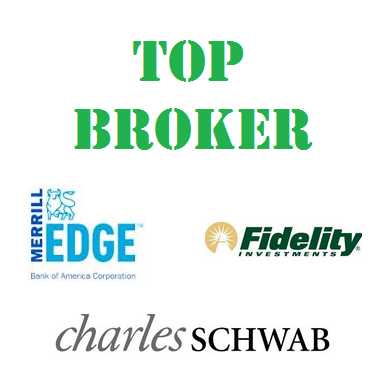 For current banking customers, you might want to consider Merrill Edge as your main broker. Maximum Margin Rate: Check current website for details. You can buy and sell stocks, ETFs, and options. 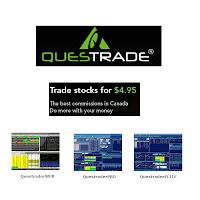 Regular stock trades are a flat $6.95 per trade. There are no additional charges for stocks less than $1 per share. 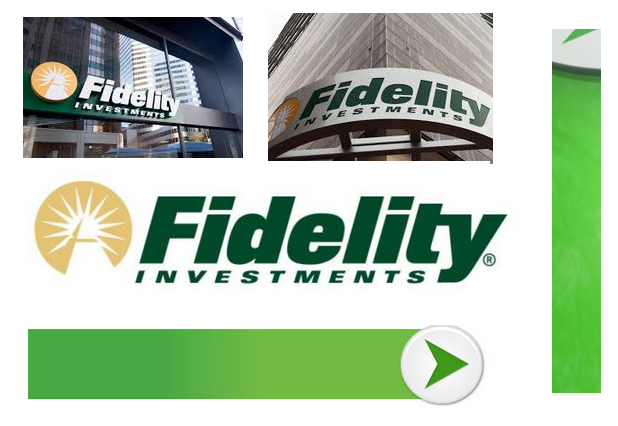 Fidelity Investments is well known among investors and traders. Fidelity is considered as a full service broker. It has more than 15 million brokerage accounts & $1.5 trillion of client assets as of July 1, 2015. Fidelity provides variety of product & service offerings. It offers investment guidance and retirement services. Mutual Funds: $0.00 for Fidelity & NTF funds. Non-NTF: $49.95. Some Other Fees: Tender Fee: $38.00. Maximum Margin Rate: Based on proprietary base rate. 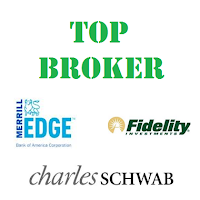 Find top 10 stock brokers for 2015 & 2016. 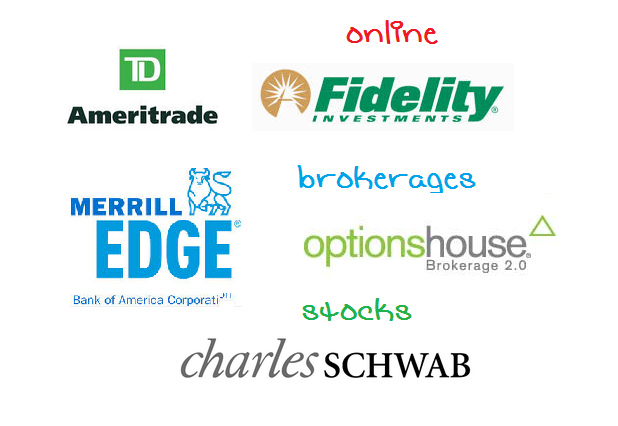 Best online brokerages are TD Ameritrade, Fidelity, and Merrill Edge. Finding the right online broker is not an easy job for traders or investors. You need to find a company you can rely. The brokerages need to provide access to every asset class you intend to trade, and they can’t charge high commissions or fees. Some may provide special features like research reports, analytic software, banking, credit card, and a mobile app. To help you find the best broker for your needs, MEPB Financial reviewed every online trading firm. We had used variables for this list. We have created the overall rankings for these top stock brokers. There are many options to invest in mutual funds nowadays. Investors can choose either a discount broker or mutual fund companies to invest. There are pros and cons with each option. 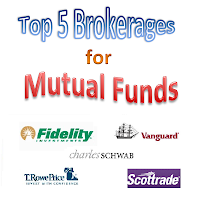 Some of the top brokerages for mutual fund investing are: Vanguard, Fidelity, Scottrade, etc. Whether you are investing in your regular brokerage account or retirement account, you may find mutual funds as your investment selection. To invest in these investment funds, regular investors can open a brokerage account or a mutual fund account directly from mutual fund companies. 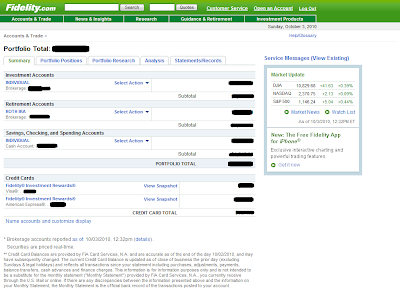 For brokerage account, you can choose either open an account with a discount broker or a full brokerage. I’ll focus on discount brokers; hence they are accessible to most small investors. Several discount brokerages (such as Zecco Trading, Scottrade, E*trade) offer some great selections of mutual funds with low cost to purchase. 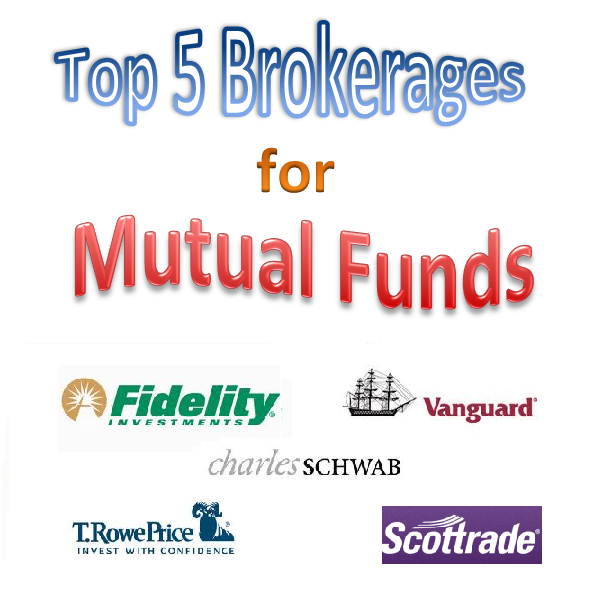 You may also find a discount broker that offers no-transaction fee mutual funds. Another alternative is by opening an account directly with the mutual fund company itself. Some of the well-known mutual funds companies are Fidelity, Vanguard, and T. Rowe Price, etc. Vanguard and Fidelity are the best ranked mutual funds companies in the U.S. These mutual funds companies also offer great selection of their fund family at low cost and no transaction fee. It also provides other crucial fund information such as performance, rating, expense fee, fund research, newsletter, etc. Lightspeed is one of the discount brokerage which has been rated among the top brokerage by various financial magazine such as Barron, Smart Money, and more. It offers Lightspeed Trader, Lightspeed Gateway, Lightspeed Web Trader, and Lightspeed Forex. There will be new commission schedule for Lightspeed WebTrader user on 1/15/2012. Lightspeed will eliminate the per-share rate plan. Any customer on per-share rate will be switched to the new per-trade plan. Lightspeed will reduce the current per-trade plan from $4.50 per trade to $3.00 per trade. LowTrades’ commission rates are among the lowest among its brokerage competitors. It provides quality executions for your trading experience. It offers account protection since it is a member of SIPC and FINRA. It also provides additional protection through its clearing firm, Legent Clearing under Lloyd’s of London for securities and cash in addition of SIPC coverage. Also, it provides 100% encryption technology for your account information, trading, etc. 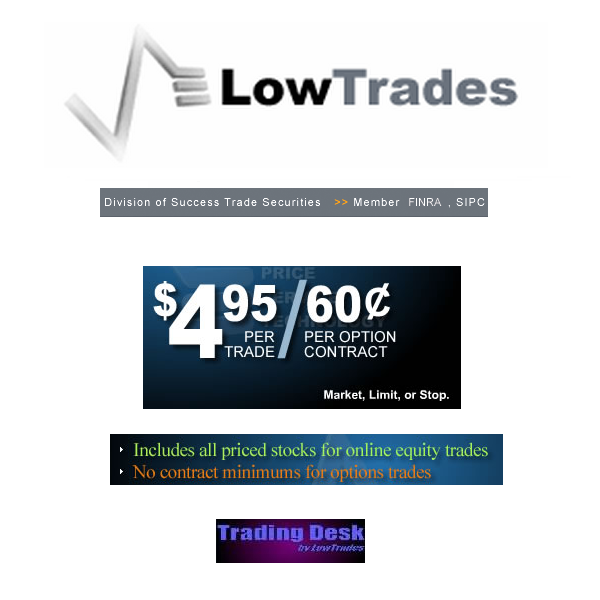 Details about LowTrades review and products on Best Brokerages Review 2011 page. MB Trading is one of premier online discount brokerage with flat rate stock commission of $4.95 per trade. MBT provides various type of trading platforms such as mobile, web-based, desktop software and direct access trading platform to investors and traders. Details about the pricing and products details can be found on Best Brokerages page. It charges $10 per month fee if 10 options contracts are not traded. TradeKing is among the top online discount brokerage with its flat rate commission of $4.95 per trade. TradeKing provides two platforms such as a standard web based trading platform as well as a mobile trading platform. In 2010, TradeKing is also rated number 1 in customer service category by SmartMoney. Has one of the best customer services via chat, email or phone. Note: For details about TradeKing, I have updated the best brokerage 2011 page. Marsco provides brokerage account for investors who want to trade in stocks, bonds, mutual funds, and options. You can find this online stock broker account review in this article. Marsco is one of the oldest online discount stock brokerage which offers several financial or cash management services. Marsco’s brokerage account is designed for investors who want the flexibility to invest. 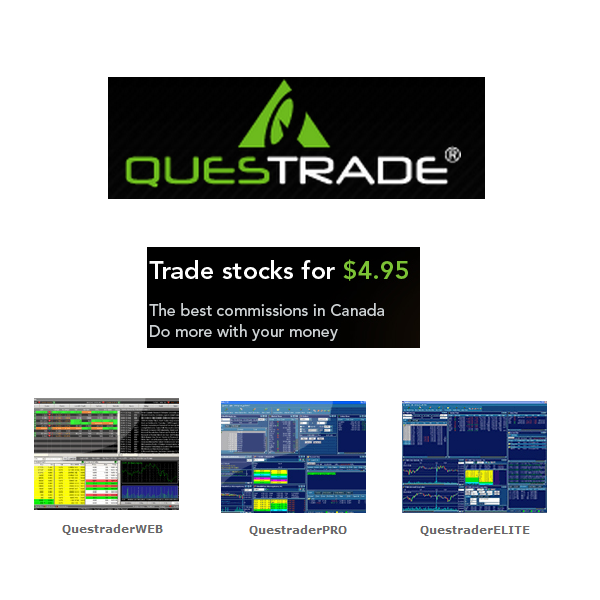 Investors or traders can trade stock online for $3.95 per trade with no shares limit and option for $3.95 per trade plus $1.25 per contract. It also offers a complete web based trading platform. Mutual Funds: $15.00 for no-load funds. Some Other Fees: Tender Fee: $25.00. DTC Out: $20.00/security. ACAT Out: $50.00. SogoTrade is an online discount brokerage services that offers low cost options and stocks trades for investors or traders. To trade stock as well as ETF, it only cost $3.00 per trade with unlimited shares. To trade option, it will cost $5.00 per trade plus $0.65 per contract with unlimited shares. Some Other Fees: Wire Fees: $25.00 per transfer. Interactive Brokers Review is one of the best online brokerages. It offers low commission rates for customers. There are two main trading platforms. More review can be found in this post. Interactive Brokers (IB) is popular among active traders, experience and professional investors and hedge fund. It was established and began executing trades for public in 1994. It offered its own clearing trading in 1998. Interactive Brokers Group is traded publicly on the NASDAQ under IBKR ticker. It has a market capitalization of $710 million. The current headquarter is located in Greenwich, Connecticut. The Chairman and CEO is Thomas Peterffy. As one of the best brokerages, IB offers stock trading, option trades, ETF, mutual funds, future, Forex, CFDs, and bonds. It offers global products. You can trades in over 100 market centers in 19 countries using single IB Universal Account. There are 2 types of trading platforms: Trader Workstation (TWS), and WebTrader. 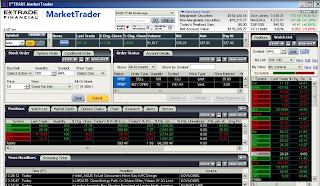 Trader Workstation is one of the best desktop applications for trading. It also offers advance tools such as BookTrader, OptionTrader, BasketTrader, ScaleTrader Algo, Accumulate/Distribute algo, FXTrader, and SpreadTrader. There are 50 order types and algos supported. The WebTrader is a web based trading platform. It is a scaled-down version of TWS with simplified interface. It offers in fourteen languages. As an online discount brokerage, it provides 11 supported order types. Opening an account with IB can take a little longer than typical online broker. You need to fill your application online, and then you need to verify two deposits IB makes into your bank account. Then, Interactive Brokers will send you a code through a regular mail to start trading. You also need to deposit $10,000 initial funding to open an account. Most traders choose bundled commission to get the lowest cost for trading. Some Other Fees: Wire Transfer outgoing: $10.00 per transfer. ACH Transfer Fee: $1.00 per transfer. Charles Schwab is one of online brokerage site which offers financial service as well as a trading platform to buy online stock for its investors. Schwab also has over 300 local offices. They are able to offer a full range of banking, brokerage, and investment advisory services to their large client base. Other financial services include retirement planning, mutual fund trading, equity trading or stock trading, and financial planning. They are one of the largest financial brokers in the world with > 7.5 million accounts with customer assets in excess of $1.4 trillion. It also 11 Free commission ETFs for trade recently. As one of largest brokerage in the world, Charles Schwab was founded in 1971 as First Commander Corporation. The current headquarter is located at San Francisco, CA USA. Charles Schwab Corporation is a brokerage and banking company listed in NYSE with ticker: SCHW. It currently uses its own clearing service to hold the client asset. Charles Schwab Clearing Services (CSCS), member of FINRA & SIPC, holds and clears all client trade. All Charles Schwab accounts are insured under SIPC up to $500,000 ($100,000 cash) and supplemental Lloyd’s of London coverage up to $150 million ($1 million cash). Mutual Funds: $49.95 & $0.00 for NTF funds. Some Other Fees: Wire Transfer Outgoing: $25.00 per transfer. ACAT Out: $50.00. For stock or ETF order, the standard commission is $8.95 per trade with no limit of shares amount. As noted, for broker-assisted trades, the commission is $33.95 per order. When trading during pre and post market hours, there is no additional fees such as ECN fees. Charles Schwab applies a simplified flat-fee based commissions structure. There is no catches or fine print notes for trading using Schwab. There are no limits on total trade size or price. If you are trading more than 10,000 shares or $500,000, you may be eligible for special handling and pricing..
Stock trading (i.e. buy stock online) can be done through web based platform as well as software platform, StreetSmart Pro. StreetSmart Pro is available to active trading customers. For option, the customer can use their option platform thru web. The cost of 1 contract will cost $9.70 commission fee ($8.95 ticket fee + $0.75 per contract), while 10 contracts will cost $16.45 commission fee. For mutual funds, there are about 1,900+ no load no transaction fee mutual funds with no commission fee for buy or sell through OneSource Funds. There are 3,000+ mutual funds for selection with $49.95 per trade of mutual funds. With the current stock market, finding a good & cheap online discount brokerage is important. Fees can cut into the trading profit. The following top 10 cheapest discount brokerages are: Lightspeed Trading, Interactive Brokers, Just2trade, OptionsHouse, eOption, SogoTrade, Zecco, TradeKing, MB Trading, and Lowtrades. To get the low commission fee, usually an investor or trader will need to sacrifice some investment tool such as good charting, tax tool, financial services, transfer capability etc. So don't be surprised about the barebone platform for this discount brokerage. You can essentially supplement the lack of features by open another account with full service brokerage such as Fidelity, Schwab, etc or you can just use internet service such as stockcharts & finviz for charting and filter. Lightspeed offers stock, etf, option, forex and future for trading. The cost to buy stock online is the cheapest discount brokerage as far as I know. To trade stock, you only pay for $0.00395 per shares with $0.40 per 100 shares. The minimum is $0.40 per trade. There is no ticket fee to buy option; it only cost $0.50 per option contract. 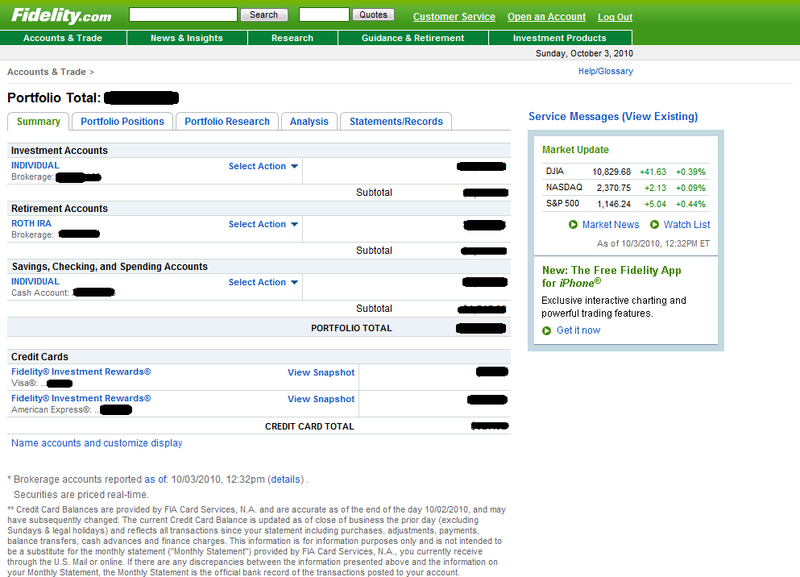 The minimum balance to open is only $1,000 for cash account and $2,000 for margin account using Lightspeed Web Trader. 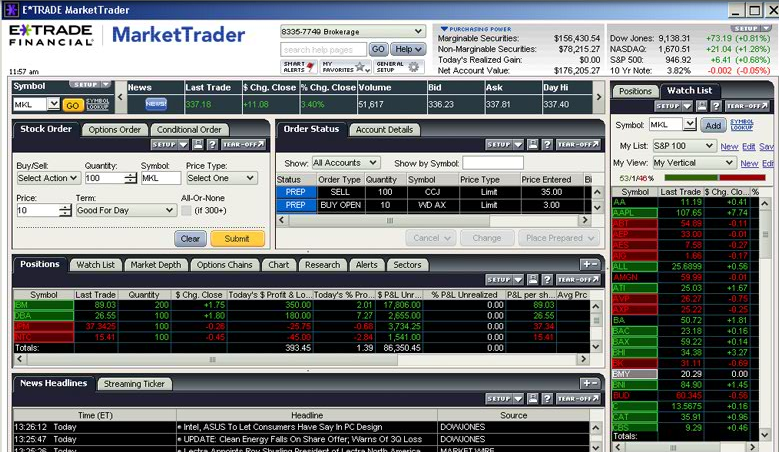 If you are using Lightspeed Trader which is software based platform, the minimum balance requirement is $10,000. Fidelity Investments is one of financial service provider that offers to buy stock online with various trading platforms for its investors. In addition to low cost stock and options trading Fidelity also has investment management, retirement planning. Fidelity is the largest mutual fund company in the US. They also offer various accounts specialize in IRAs/Rollovers (Roth IRA, Traditional IRA and 401k), CDs, Bonds, and 529 Plans. Fidelity also offers mobile trading application. Fidelity definitely fit into my criteria. Ever since they offer 25 ishares ETF for free, my interest using fidelity is growing even more. I have been using my fidelity account for the past 3 years for Roth IRA, investment brokerage account and interest checking account. I also use their credit card which provides 2% cashback on any daily purchase. This is one of the best credit card cashback from my experience. Also please check my other brokerages review such as just2trade, vanguard, Lightspeed, E*trade, Scottrade and Zecco. ishares ETFs Orders: $0.00 for 25 ishares ETFs Mutual Funds: $0.00 for Fidelity & NTF funds. Non-NTF: $75.00. Options: $7.95/trade+$0.75/contract Minimum to Open: $2500 Inactivity Fee: $0.00 Some Other Fees: Tender Fee: $38.00. If you are investor or trader and buy stock online as well as buy mutual fund online, you probably know about Scottrade. Scottrade is an online brokerage site that offers various products such as stocks, options and mutual funds. 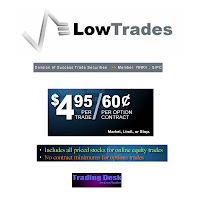 They offer their low cost commissions of $7.00 per trade on three different trading platforms: Scottrade, Scottrade Elite, and Scottrade OptionsFirst. Also, Scottrade has over 480 branch offices throughout the United States and has had a consistent track record of being recognized as an industry leader by several different magazines and review groups. While not one of the cheapest online trading platform, Scottrade has been known by investor as well as trader due to its platform, research and community. Minimum to Open: $500 Inactivity Fee: $0.00 Some Other Fees: Paper Statement: $2.00 per statement. ACAT In/ Out: $60.00. E*TRADE is an online brokerage site that specialize in stock, option, bond, future and mutual fund. E*trade also provides many additional banking financial services such as High Yield Saving accounts, checking account & mortgage. Etrade also offers a wide selection of trading tools for their customers, as well as low trading commissions. E*TRADE also allows its investors or traders to trade stocks on their smart phones such as iPhone and BlackBerry with the use of E*Trade Mobile Pro. They are one of the largest financial brokers in the world with > 4.5 million accounts in about 40 countries with customer assets in excess of $100 billion. Some Other Fees: Paper Statement: $2.00 per statement; ACAT Out: $60.00. Opening account is straight forward; you just need to fill the online application through etrade website. You can open individual, joint, and Individual Retirement accounts (IRA). The following accounts are being offered by etrade such as Employee Stock Plans, Business, Corporate/LCC, Trust & Estate, incestment club, rollover IRA, traditional IRA, Roth IRA, beneficiary IRA, etc. They may require you to submit some identification as well. The application only takes about 10-15 minute. Once you are done, you’ll need to wait for their approval. Then, you can setup how you want to fund your account. What are the advantages using etrade? Etrade website is very user friendly. There are additional banking services such as Online High Yield Saving account (complete savings), and Checking account (Max-Rate Checking & e*trade checking). Offer international market for trading such as Canada, France, Germany, Hong Kong, Japan, and the United Kingdom. Also offer after hour trading either it is pre market and post market hour. Compare to other brokerage the $9.99 trades is more expensive than discounted competitors such as Fidelity, Charles Schwab, Lightspeed, Just2trade, Vanguard. Some of the premium feature such as Power Etrade Pro is not available to all clients.